The finite-size effect on the thermal mirror (TM) experiments is described. The time-resolved thermoelastic deformation equation is solved and compared to the semi-infinite solution. 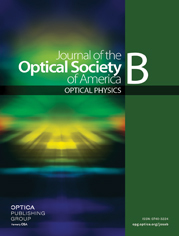 To determine the applicability of the semi-infinite model, experiments were performed in optical glasses and the quantitative results compared to both models. The analytical results presented here were found to be in excellent agreement with the numerical finite elemental analysis model. Modeling and experiment showed that the TM transient signal is strongly affected as the sample thickness is reduced. The results of the finite-size model demonstrate that it is intrinsically more accurate to characterize physical properties of low optical absorption thin samples, which suggests that the model and the TM method could even be applied to study very thin films down to the micrometer scale.